Someone the Petitioner currently resides with or resided with in the past. Someone with whom the Petitioner dated. When it is clear upon notice that irreparable injury, loss or damage, will result from the delay required to give notice or notice itself will precipitate adverse action, an order may be entered Ex-Parte, meaning without a hearing prior to entry. A Respondent has 14 days to file an objection after being served. At Corriveau Family Law it is critical in many cases that this deadline not be missed if one is hopeful in setting aside a PPO. Entering on premises including residences and places frequently visited. Purchasing or possessing a firearm. 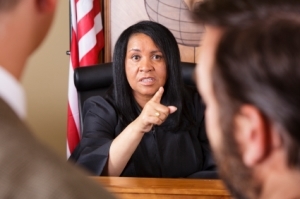 At Corriveau Family Law we can advise you properly on how to defend yourself or prosecute this type of action. For a free initial consultation about Personal Protection Orders with an attorney at our Northville firm, call 248-380-6801 or fill out our contact us form.